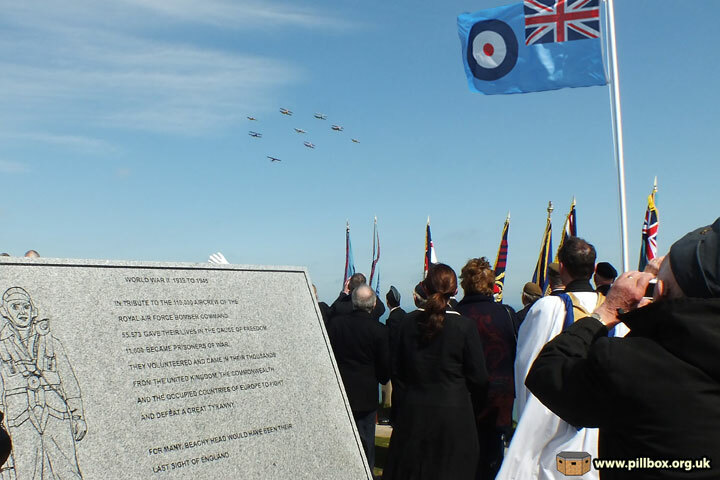 A large crowd gathered on Beachy Head this afternoon to witness the first annual Bomber Command 'Mission Accomplished' Memorial Service. 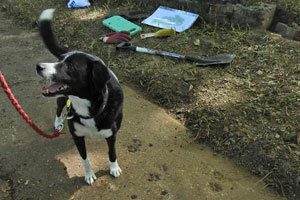 I wrote a short piece on the new monument last August, shortly after its unveiling. Today's ceremony comprised a brief service followed by a flypast of 35 aircraft. Although the sun was out, conditions on this exposed headland east of the famous lighthouse were less than ideal as a strong wind blew across the memorial site. 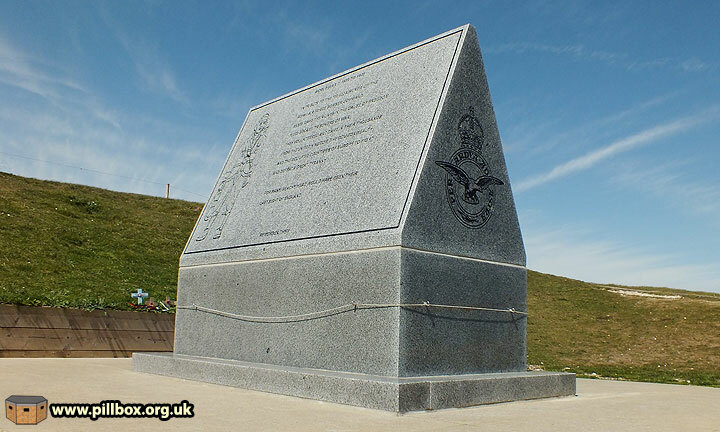 Beachy Head was the last piece of Britain that many bomber crews would have seen as they flew off on missions over enemy territory, hence the erection of this new memorial last year. 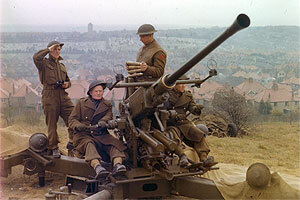 During the war, the area was home to a radar station, a Royal Observer Corps Post and various 40mm Bofors anti-aircraft guns. 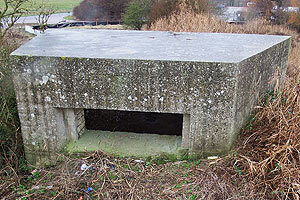 As I made my way down to the site, I chanced upon a few slit trenches on the grassy slopes. Arriving early, I managed to get some photos of the memorial before the crowds turned out. 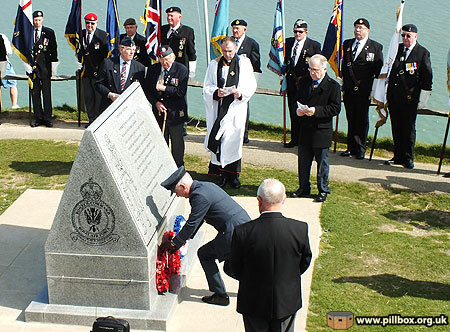 The service was to mark the anniversary of Bomber Command's last major raid, carried out on 25-26 April 1945. Standard-bearers, veterans and the public arrived and began to file into place. 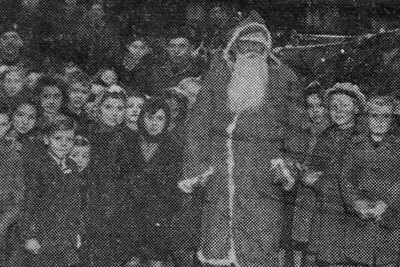 A flag pole was erected and the Royal Air Force Ensign was quickly flapping in the wind. The site is perfect for such gatherings; the memorial is centre stage with the audience arranged up the surrounding slopes. The standard-bearers line the footpath on the cliff edge; behind them you can only see sea and sky. 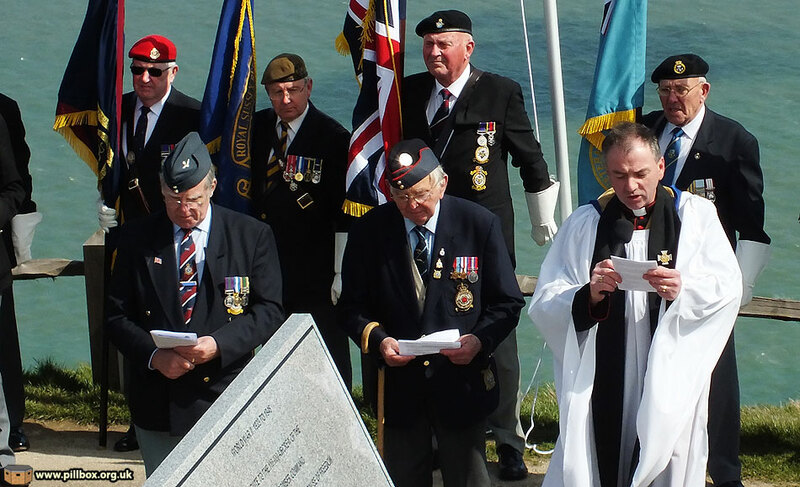 The ceremony commenced with a welcoming address by Joe Williams, CEO of the Beachy Head Bomber Command Tribute. Wreaths were laid in memory of the 55,573 members of Bomber Command who died during the war; thousands have no known grave. The Last Post was sounded, followed by a minute's silence. This memorial service was the first of what it is hoped will become an annual event in addition to the November Remembrance season. 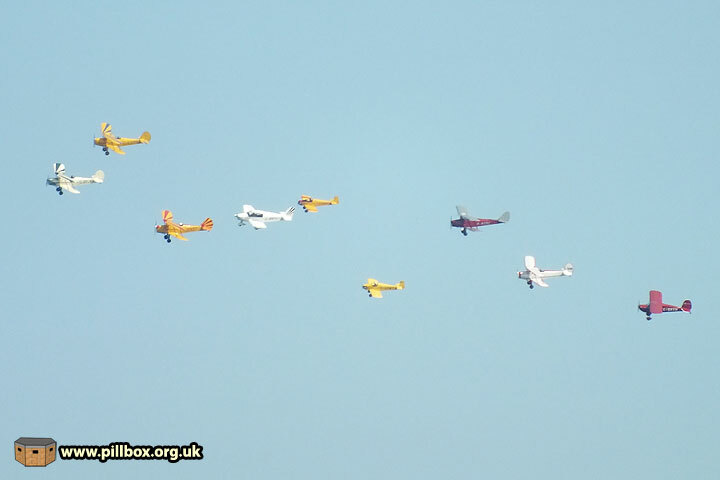 The finale to the event was a flypast by 35 light aircraft to represent outgoing aircraft flying over Beachy Head. 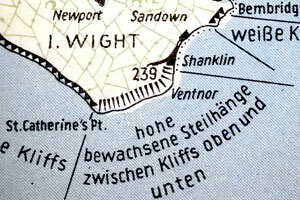 On time and on course, the first aircraft appeared from inland and flew directly over the monument at 500ft before turning to port and exiting towards Eastbourne. Next year it is hoped that 50+ aircraft will participate. A very fitting tribute to Bomber Command and well worth attending next year! The story behind the memorial can be found at: http://www.bombercommandtribute.org.